With the first application a little foam will develop, then larger amounts of foam with each application. Simply produce the foam then allow it to sink into the skin between each application and before exercising. The exercise can help the penetration of the product. In most cases an increase in swelling will be observed in the early stages of treatment as Odzon will cause more fluid and blood flow to the area to aid the healing. This swelling will normally be seen to reduce as healing progresses after a few days. Animals being treated with hydro or ice baths should have 4 or 5 applications applied, as above, BEFORE their treatment is commenced. 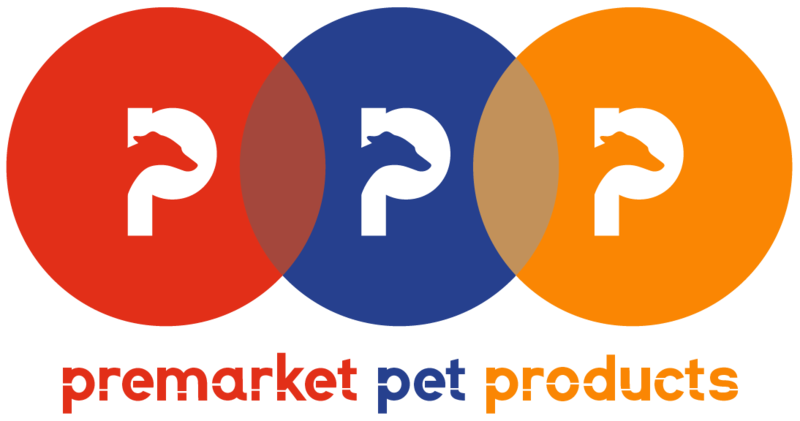 Considerable benefit has been reported with the use of ultrasonic under water for injuries where such methods are suitable, for example greyhounds with shin soreness, tendon injuries, joint or muscle soreness, pastern, wrist or toe injuries. Greyhounds falling during work or racing have been found to benefit form several applications of Odzon followed by a bath, twice a day. Greyhounds with injuries should have 4 or 5 applications of ODZON before exercise, including walking; or being allowed to run loose in an exercise yard. Similarly Odzon should be applied before a dog is boxed to trial or race. Most greyhound injuries will respond with Odzon used in this way. 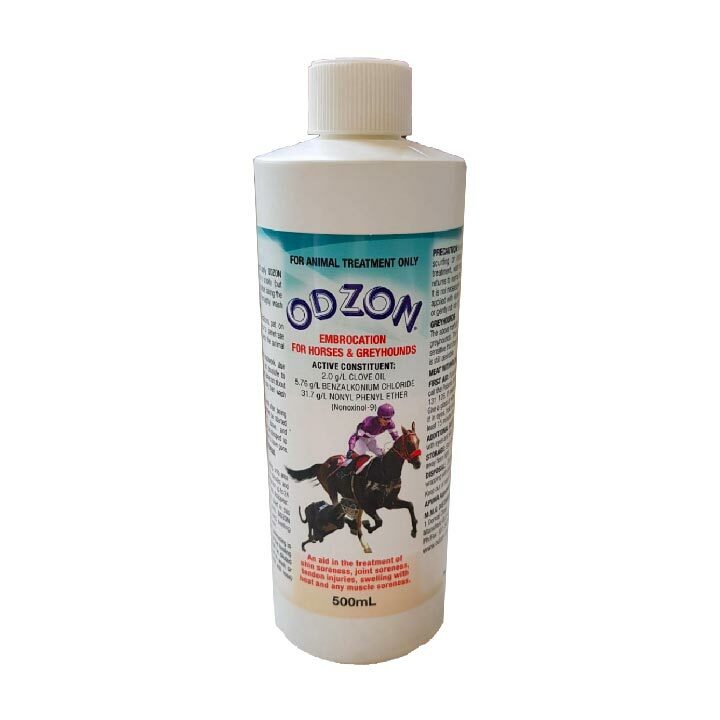 If it is not possible to swim or work the animal in water, apply 4 or 5 applications of Odzon as above, exercise at own discretion, then hose off well. A fresh application may then be applied and left on whilst the animal is resting. Animals coming back into work after injury are best treated with Odzon routinely before the start of work each day to ensure the best possible results. 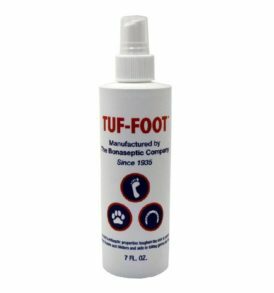 Tuf-Foot is the only preparation made exclusively for the foot. It is guaranteed to toughen soft, tender or sore feet. It can be used as a conditioner or as a treatment. May be used on any part of the body for cuts and scratches. It also helps to heal sandburns. FOR USE ON ANIMALS AND HUMANS. 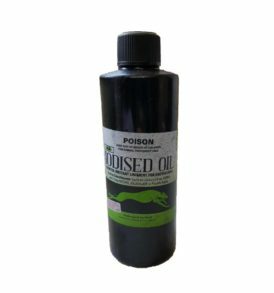 Iodised Oil is a mild, non blistering counter irritant analgesic liniment for the treatment of soreness associated with muscle stiffness, tendons and ligament sprains, bones, joints including sore shins, and other conditions requiring warmth. 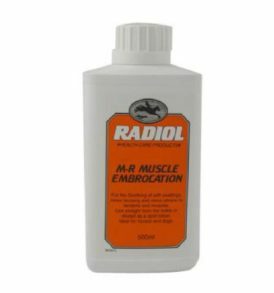 Radiol M-R Muscle Embrocation for minor swellings, minor bruising and minor strains to tendons and muscles. Contains menthol and camphor to help cool and soothe affected areas and ensure good blood flow. Use straight from bottle or diluted as a spirit lotion. 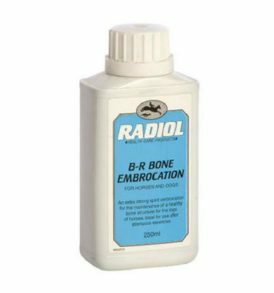 Radiol B-R Bone Embrocation is an extra strong spirit embrocation for hard, fibrous and bony enlargements, thickened tendons and joints. Contains guiacol, menthol and camphor to help soothe and relieve stiffness and aid disinfection. 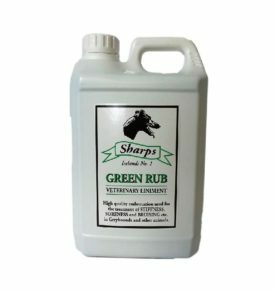 Sharp’s Green Rub is a high quality embrocation used for the treatment of stiffness, soreness and bruising etc in greyhounds and other animals. 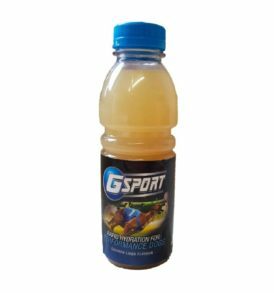 G Sport is a drink designed to provide pre and after race hydration for dogs. It also contains L-carnitine, a natural nutrient which helps the body burn fat to create energy. 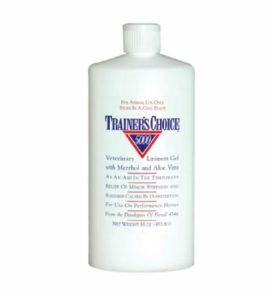 Trainers Choice 5000 is a unique veterinary gel with menthol and aloe vera. 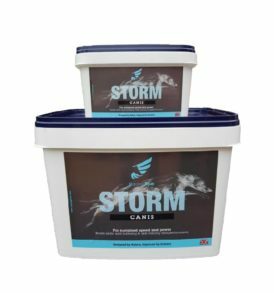 Will assist in the rehabilitation of the sore greyhound and will help prevent soreness in the sound animal.